Once a great man had said, what’s kept in the name. But today that is not the case. Today a name has a face value much higher than the things behind it. Today the Brand and its name is everything, its history, its legacy, it’s present and will also be the future. Today the name of the Brand has become its recognition it’s everything. One such name is Capdase, when you hear that word you get a peace of mind, that yes with this my costliest phone is well protected. Glass and metal have become synonymous with style and quality, but no matter how hard the glass, it’s still the brittle and no matter how tough the metal it’s still is prone to scratches. In such scenarios a simple cover can prolong the life of your device and Capdase pioneers in that. Leading a world class collection of not only covers and cases but also various accessories like charging mounts, external chargers, multipoint chargers, and even screen protectors. I am going to pick up one gem from that box and review it here today. Phones have become an inseparable part of our life, be it our work or our entertainment, then why should our fitness regime be left out? 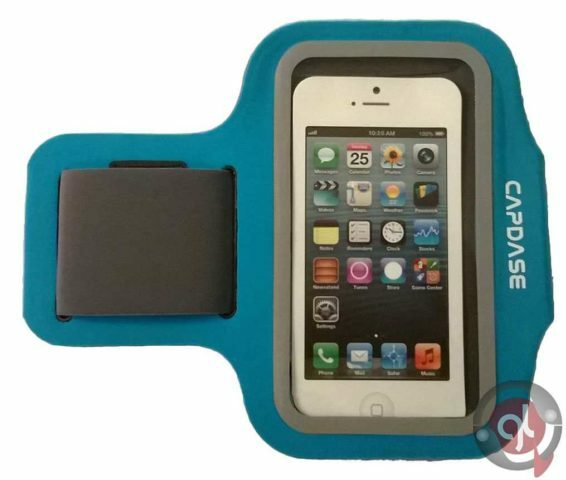 Keeping this mind Capdase has introduced a nifty accessory that can carry your phone safely in it without the phone being dangling here and there causing discomfort or getting frequently in middle of your workout. 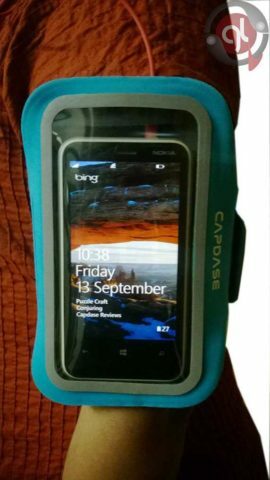 The Capdase Zonic Plus 126A Sports Arm Band, as the name suggest, you strap the band to your arm, on the biceps area and you put your phone in it. Mostly aimed toward the people who love to jog or run, this arm band can be easily wore during other work outs as well. Below are the points that you will find at the back of case as listed by Capdase themselves. Design wise, if you see the product the first time, the big rectangular front will easily catch your eye. The “T” Shaped arm band is designed pretty well keeping all the ergonomics in the mind. The phone stays in the middle, surrounded by the rectangular reflect stripe and then closed with the arm band itself. While making the Capdase Zonic Plus 126A Sports Arm Band, the guys at Capdase have thought this one out through and thorough. Along with the place for the phone you get two extra pockets, one for you key and one for to hold your headphone. While the headphone pocket is at backside, the key pocket is places on one of the arms of the product. The product basically has two arms, a longer one with a Velcro on it, while a short one with two slits, through which the longer arms slides and makes a loop. The short arm has two slits to fit any arm size easily, which is a nice plus point, so basically it’s on size fits all kind of an arm band. The long arm of the band has a different colour from the main product and has “CAPDASE” written at the end of it with their own font, which kind of a gives it a classy look. The quality of the Capdase Zonic Plus 126A Sports Arm Band is top notch, it really stands to its name. The entire product is made from one single piece of Neoprene material which is water repellent and hand washable. Being water repellent means no matter how much you sweat during your workout, you are rest assured your phone is safe inside and being single piece means its retains its strength. There are no stitches anywhere on the entire product. The single fabric covers the front part of the product take a “U” Turn at the short arm and continues all the way to the end of the longer arm and in between the folds there are multiple layers of more fabric to give it some width, which provides extra cushioning and safety for your phone. I am not particularly impressed by the packaging of Capdase Zonic Plus 126A Sports Arm Band. While there isn’t any breakable part of the product, but the plastic used for the packaging is transparent, hard but a very thin plastic which doesn’t exact match the quality of the product. The plastic itself is prone to dents and wear and tear, which could easily get damaged during the transport. Though it’s the product that is more important, but the casing and packaging equally needs to stand up to the expectation. This is the first time I have used an arm band case for any phone and I have to say I am pretty impressed by its overall performance. The grip is firm, doesn’t slide out even after heavy movements. It kept the sweat out of my phone pretty well and at the same time protected my phone from the dust, due to its transparent front, I was easily able to use the phone without even having to taking it out. At the end of the work out I was easily able to wash it off with a wet cloth in order to prevent the sweat stains if there formed any. All in all its very nice product with lot of thought given to smallest of the details, except for one. There is one minor flaw that I was able to observe was that there are not heat vents, there is no place for the heat generated by the phone to escape which results in over heating of the phone, especially when you have a Bluetooth device attached. The material doesn’t dissipate the heat and keeps in trapped inside the phone compartment, plus the heat generated by your body and if you are jogging with sun facing towards you; is where the things get a bit bad with heat. 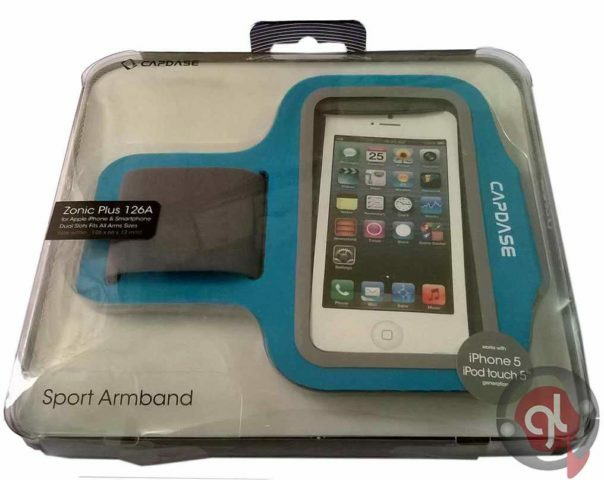 Overall I will give it an 8 out of 10 for Capdase Zonic Plus 126A Sports Arm Band. Would have given it 9 but the heat issue may lead to some serious problems. But all in all it’s a great product, good build quality, good design, an exceptional performance. I am completely satisfied with the product and can finally take my phone with me for a jog and give my mp3 player a rest once and for all. I would recommend this as one of the must have product for fitness people who like to listen to music while they workout. It could also be an amazing gift if you have such people in your friend or family circle or even your colleagues. 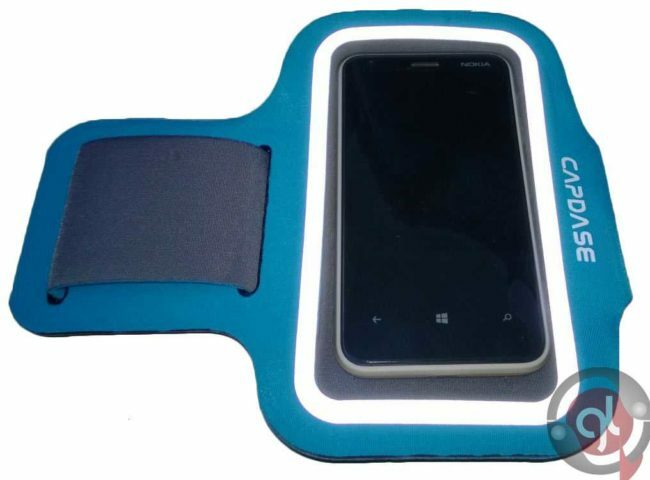 You may grab Capdase Zonic Plus 126A Sports Arm Band from some of the popular online shopping sites like Flipkart, Snapdeal, Infibeam, Indiatimes Shopping, Amazon and many more.